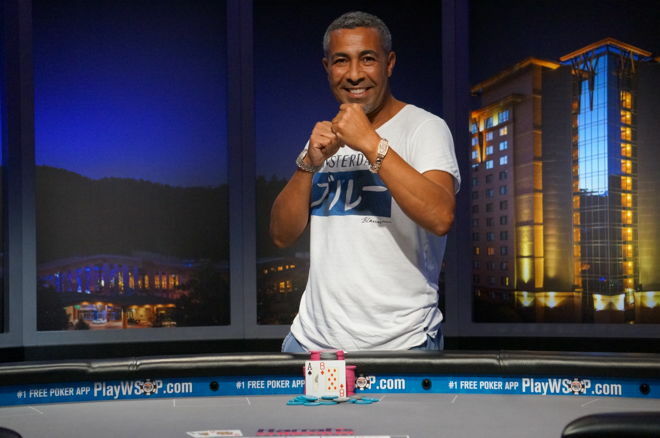 The final bracelet before the November Nine went to Morocco's Said El Yousfi. Said El Yousfi won WSOP Global Casino Championship for over $343,000 along with a bracelet. The World Series of Poker Circuit expanded to include international stops with its 2015-16 season, and perhaps fittingly, an international champion emerged at the WSOP Global Casino Championship. Said El Yousfi took down the 126-player field for a payday of $343,256. He qualified for the $1 million guaranteed event by winning a ring and the Casino Championship at Casino de Marrakech in his native Morocco. The tournament field featured a combination of automatic qualifiers who won WSOPC Main Events or Casino Championships, at-large qualifiers who accumulated points at various circuit stops, and direct buy-ins for $10,000 available only to players who met certain criteria. Those buy-ins were added rake-free on to the $1 million prize pool provided by the WSOP. With a total field of 126, 19 players would be paid. Among those making their way through the tough field to the paid positions but falling short of the televised final table of six were Jon Turner, circuit cashes record holder Doug “Rico” Carli, Justin Zaki, Jesse Martin, and Alex Rocha. The latter fell on the final table bubble to Joe Kuether, and El Yousfi went into the final table as the chip leader with four-time ring winner Josh Turner also having a big stack. The first to go was at-large qualifier Cody Pack, who recently got ninth in the Monster Stack at the WSOP for over $100,000. He was down to a short stack of nine big blinds when he got it in with against the of El Yousfi, according to the live updates. No ace arrived to save Pack. Another Georgia native, Sean Small, went bust just a few hands later. He shoved in 189,000 at 12,000/24,000/4,000 in the small blind, and Yasin Ahmady called in the big blind with . Small had rags, the , and a board brought him no salvation. El Yousfi and Turner proceeded to battle awhile, trading the chip lead back and forth, but the next decisive pot went down between Kuether and Ahmady. The latter shoved for 132,000 at the same level, and Kuether called in the small blind with . Ahmady had and won with an ace on the river. Left with five big blinds, Kuether busted in short order. The battle between Turner and El Yousfi for the lead continued, but it was El Yousfi who pulled into a sizable lead by the time Turner got in an all-in confrontation with Ahmady. Turner opened to 125,000 at 25,000/50,000/5,000 and called the shove of Ahmady, who had 705,000. Turner's eights were crushed by his opponent's nines, and a board that helped neither player left Turner on life support with 160,000. A few hands later, Turner was eliminated and El Yousfi went to heads-up play with a little less than a 2-1 lead. Ahmady pulled into the lead and held it for awhile, as the two traded pots without many showdowns. After El Yousfi, pulled back in front, the two got all in on a flop. Both had straight draws, but El Yousfi's was ahead of Ahmady's . Both players missed, so it was ace-high for the win, and El Yousfi added a bracelet to his ring.